NARRAGANSETT, RI –Lark Hotels, a collection of designer boutique properties located in iconic coastal New England hot spots, will grand open The Break, in Narragansett, Rhode Island on June 19, 2015, with a soft opening anticipated in May. The property, a new build, will feature a retro chic surf vibe and will be the first hotel of its kind in this historic seaside town, which boasts some of the best surf breaks in New England. Situated just one block from the ocean and a short walk to the beach, The Break will offer 16 guest rooms and suites, each decked out with king beds, fireplaces, rainfall shower heads, Apple TV, iPads and iPod docking stations. Most accommodations feature private balconies with ocean or sunset views. Special guest amenities at The Break will include a intimately sized restaurant, Chair 5, a rooftop lounge with panoramic views, a heated outdoor swimming pool, hot tub and sun deck, a fitness center and a small spa and salon. The decor, by Rhode Island designer Jocelyn Chiappone, will tap into the vintage surfer nostalgia of the late 60s when local surfing legend, Peter Pan, burst onto the scene and put Narragansett on the map. Bold, modern textiles pop with color palettes of bright orange and yellow, earth tones, crisp white and shades of green and blue. Furnishings combine dark woods with modern wicker chairs and chandeliers, mid-century modern inspired armchairs and sofas, fabric headboards and ceramic tables. Developed and owned by locals Jim and Becky Durkin, The Break will embrace the beach community history of this distinctive stretch of sand and sea. Chair 5 will feature modern spins on comfort foods and seafood favorites. The rooftop lounge is destined to become a top guest destination with indoor and outdoor hang out spaces and expansive views of the ocean and the Point Judith lighthouse. A sampling of the hotel’s personalized concierge services will include arranging surfing and stand up paddle boarding lessons, board and kayak rentals, beach picnics and fishing excursions – Narragansett is home to the second largest fishing port in the northeast. Rates at The Break will range from $159-$459 per night, depending on room type and season, and include a curated small plates breakfast. The Break participates in Lark Hotels’ “On a Lark Club” program where points are accrued for each stay and can be redeemed in the future at each property for exclusive benefits, packages and experiences. For additional information on The Break, visit www.thebreakhotel.com or call (401) 363-9800 or (855) 559-3001. The historic Whitehall Inn, Camden, Maine, in May 2015. The hotel will house Lark’s first signature restaurant, Pig + Poet, helmed by celebrity chef Sam Talbot. 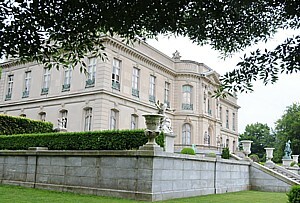 Gilded,, where 1890s opulence meets modern amenities, will open in Newport, Rhode Island in May 2015. Set in seven coveted seaside locations – Camden, Kennebunkport and Portland, ME, Nantucket, MA, Portsmouth, NH and Newport and Narragansett, RI – Lark Hotels embrace the locations they are in, but in playful, unexpected ways. Think “sense of place” with imagination and a touch of mischief. Each Lark Hotel invites guests to experience modern luxury in the heart of an iconic destination, to feel the pull of a nostalgic getaway while surrounded by today’s amenities and to find attentive service when they want it and privacy when they don’t. 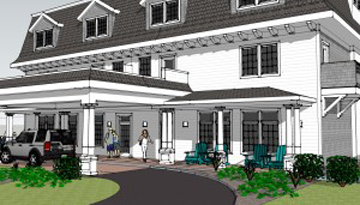 Lark Hotels is opening its newest boutique property, The Break, in Narragansett, Rhode Island in June 2014. The property will feature a retro chic surf vibe and will be the first hotel of its kind in this historic seaside town which boasts some of the best surf breaks in New England. Lark Hotels, a collection of designer boutique properties located in iconic coastal New England hot spots, has announced the launch of its newest hotel, The Break, grand opening in Narragansett, Rhode Island in June 2014. The property, a new build, will feature a retro chic surf vibe and will be the first hotel of its kind in this historic seaside town, which boasts some of the best surf breaks in New England. Situated just one block from the ocean and a short walk to the beach, The Break will feature 16 guest rooms and suites; each decked out with king beds, fireplaces, rainfall showerheads, Apple TV, iPads and iPod docking stations. Most accommodations feature private balconies with ocean or sunset views. The decor, by Rhode Island designer Jocelyn Chiappone, will tap into the vintage surfer nostalgia of the late 60s when local surfing legend, Peter Pan, burst onto the scene and put Narragansett on the map. Bold, modern textiles pop with color palettes of bright orange, earth tones, crisp white and shades of green and blue. Furnishings combine dark woods with modern whicker chairs and chandeliers, midcentury modern inspired armchairs and sofas, fabric headboards and ceramic tables. Developed by locals Jim and Becky Durkin, The Break will embrace the beach community history of this distinctive stretch of sand and sea. The hotel will feature a rooftop lounge overlooking sweeping views of the ocean, sunsets and Pell Bridge in Newport. Guests will also enjoy a heated outdoor pool, hot tub and sun deck, as well as a small spa and salon and a fitness center. Lifestyle brand vineyard vines®, the official outfitter for all Lark hotels, will provide coastal, preppy chic attire for the staff at The Break. For additional information on The Break, visit http://www.thebreakhotel.com or call 401-363-9800 or 855-559-3001. For information on Lark Hotels and the “On a Lark Club,” visit http://www.larkhotels.com.